'Captain America 2': What's the verdict? If you're not a fan of Marvel or growing weary of superhero movies, we wouldn't be surprised if your eyes immediately glaze over at the sight of "Captain America: The Winter Soldier." 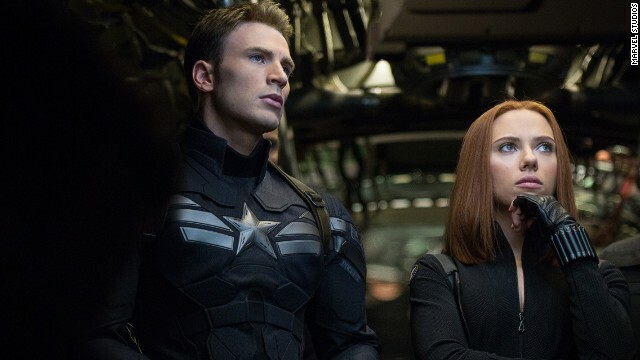 The new release is the follow-up to 2011's "Captain America: The First Avenger," and the latest installment of a long line of movies that zero in on one Avenger or another. But here's the good news: "Captain America 2" is good enough to earn attention from fans and non-fans alike. Chris Evans reprises his role of Steve Rogers, the souped-up '40s era soldier who this time around is facing off against a villain worthy of the Captain's shield: the Winter Soldier. Aided by the Black Widow - a.k.a. Natasha Romanoff, as played by Scarlett Johansson - and the Falcon - a.k.a. Sam Wilson, played by Anthony Mackie - Evans' old-school hero is facing very current problems. "Bloated and shallow as they are, comic-book-superhero pictures can occasionally surprise you," says New York Magazine in a review. "Beneath the expensive, computer-generated busyness of this second Captain America installment is a bracing, old-style conspiracy thriller made extra-scary by new technology and the increasingly ugly trade-offs of a post-9/11 world." As the Wall Street Journal points out, directors Anthony and Joe Russo were keen on creating a 70s-esque political-conspiracy theory that harkened back to "Three Days of the Condor" and "All the President's Men," both of which starred Robert Redford. Securing Redford for a role in "Winter Soldier" was probably half the battle, but with the plot, pacing and tone the directing team has more or less accomplished their mission, "with Captain America at the center of the often awesome action." The Los Angeles Times was similarly frustrated with the film, noting that while "Winter Soldier" has all the right pieces - a likeable hero, an intriguing villain, a script with spark - it's somehow still not the engrossing popcorn fare the LAT wanted it to be. "It's a product of the highest quality, but at the end of the day that's what it is: a machine-made, assembly-line product whose strengths tend to feel like items checked off a master list rather than being the result of any kind of individual creative touch," the review says. "'Captain America' is everything a big budget superhero film should be — except inspired." So which is it: is "Captain America: The Winter Soldier" the latest example of fine filmmaking and a spring blockbuster in the making, or is it just another roll of the Marvel assembly line? If you see the flick, let us know your own review in the comments! Sorry, I was watching ALIENS instead. The movie was excellent entertainment! I hate when a movie gets over analyzed. Was it fun? Oh yeah! Did it entertain? Heck Yes! Does anything else matter? Heck NO! I love comic book movies but.. I'm sorry to say Captain America can't lead a Hollywood movie. The character just doesn't have that certain ability. I thought the first movie was ok, I don't plan to see the 2nd for $ 8.00 – $12.00. Iron Man yes, Avengers, yes, X-Men, yes.. Not Captain America as a solo draw. Your loss. It was an awesome movie.